Our partnership opportunities will allow you to connect with your target audience through the educational program, which includes practical and evidence-based content. A variety of the packages available will provide you with the unique opportunity to be involved with the program and deliver education to delegates. 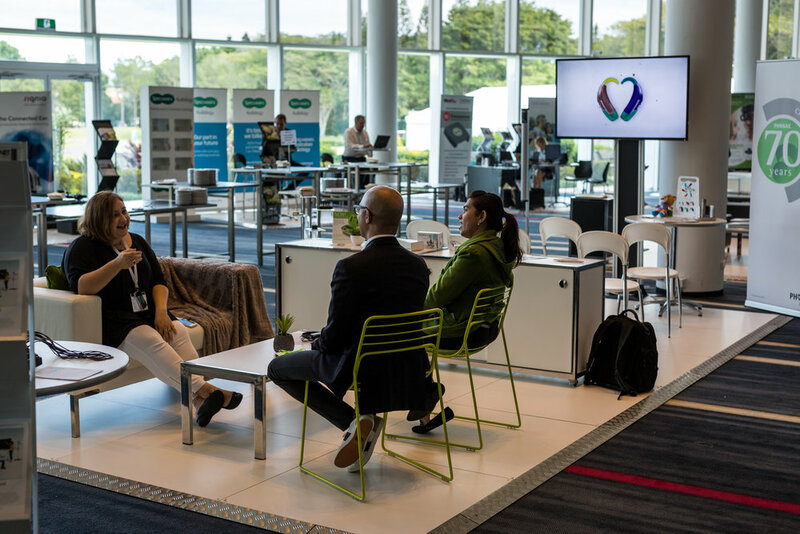 The Exchange Hub is our take on the usual exhibition space providing an innovative exhibitor space design. It offers a fantastic opportunity for one-on-one interactions, in-depth discussion and personalised business opportunities that just aren’t possible over the phone or via email. Complete the form below and receive a link to download the sponsorship and exhibition prospectus. Alternatively, contact the AudA events team at events@audiology.asn.au or 03 9940 3900. Download the Sound Exchange ‘19 prospectus to find out more about the partnerships available. If you have any questions contact the AudA events team at events@audiology.asn.au or +61 3 9940 3900.